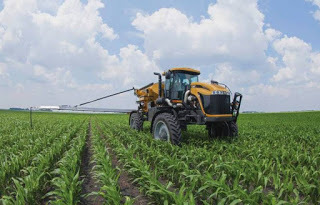 Agrotechnomarket.com - Agricultural sprayer manufacturers continue to develop methods and design equipment for advances in agricultural machinery with the latest in application technology. 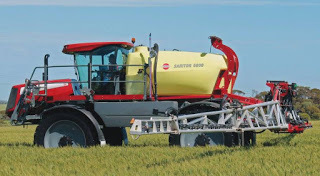 From direct injection product mixing option and four-wheel drive hydrostatic transmissions, to autosteer options and comfortable cabs, today’s self-propelled sprayers are equipped with everything applicators need to get the job done right and keep their fields clean. 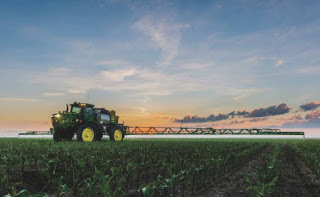 10 sprayer farm machinery models from John Deere, Buhler-Versatile, AGCO, Case IH, Equipment Technologies, GVM, Hagie Manufacturing, Hardi North America, Miller-St. Nazianz, and New Holland are featured in the below. The R4045 Sprayer was designed with the durability to handle challenging field conditions and designed for three seasons. The R4045 features a 346-hp Final Tier 4 PowerTech PSS 9-L engine with four-wheel hydrostatic drive to run at 25 mph spraying/spreading and 35 mph in transport.The John Deere R4045 Self-Propelled Sprayer has a 1200 U.S. Gallon Stainless Steel Tank and option of 90-, 100-, or 120-foot dual swing-link suspension, flat-fold booms that can apply up to 230 gallons per minute with a high-flow pump and dual flow meter. A New Leader dry spinner spreader can be installed easily. 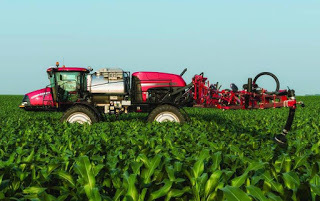 R4045 offers the high application rates, productive spray speeds, and all the technology and comfort that ag service providers and large producers need to cover large fields quickly and efficiently. Learn more at www.deere.com. SX280 represents an evolution on the current sprayer design and will replace the SX275. The SX280 is now available with optional 120-foot aluminum booms. Additional options include Raven Viper 4, Autosteer ready, and rear duals in 320 and 380 tire widths with 22- and 30-inch spacing (wider floatation tires are also available). The rig is powered by a Cummins QSB6.7L and will meet interim Tier 4 emissions requirements. Product tank options of a 1,200-gallon stainless steel or 1,000-gallon polyurethane tank are available. Learn more at www.versatile-ag.com. New for 2017, The STS 16 is the most powerful solution to efficiently cover more acres all full season long. 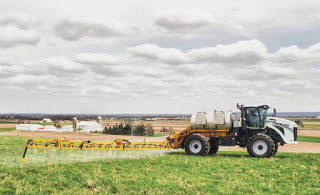 The 1,600-gallon self-propelled STS16 sprayer features a 9.0 liter John Deere PowerTech PSS engine rated at 375 horsepower, with a 413 horsepower bulge. The newest Final Tier 4 compliant sprayer model is now available through the John Deere Dealer Channel. Featuring enhanced fuel capacities, the 150-gallon fuel tank and fuel ladder allows ground access to quickly fuel the machine and boost uptime. The largest applicator in the STS product portfolio is equipped with new wheel hubs, generating a 15% increase in torque to the ground. Learn more at www.hagie.com. Hardi North America will be offering two sizes of aluminum booms on the SARITOR self-propelled sprayer for the 2017 season. The aluminum booms will be available in 120- and 132-foot widths. The SARITOR has tank capacities of 1,100 and 1,300 gal tank capacities with booms sizes ranging from 88 to 132 feet and are powered by Cummins QSB 6.7L 275-hp engines. Crop clearance is 54 inches and the track width can be hydraulically adjusted from 120 inches to 157.5 inches, providing a large stable platform for boom stability. The Hardi HC 9500 controller offers guidance, data logging, application report generation, automatic steering and the Hardi AutoTerrain boom management system. Learn more at www.hardi-us.com. The RG1300B self-propelled sprayer RoGator has been the most successful model RoGator sold since the inception of the RoGator range of sprayers into Australia in 1996. The RoGator RG1300B features a Tier 4 Final 8.4-liter AGCO Power engine and hydrostat drive package, providing superior power and reliability with greater fuel efficiency. It oas a variety of boom size options, from 27.4 metres, to 30.5 metres, and 36.6 metres with tip-to-target control and consistent accuracy, advanced technology, adjustable track widths and an application cab designed to maximize operator comfort and safety. The 2017 RoGator offering will feature the new Raven V4+, a 12.1-inch customizable color touch-screen controller. Learn more at www.applylikeapro.com. 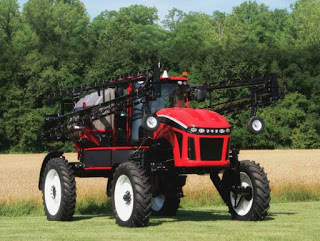 The 1,200-gallon Patriot 4440 sprayer uses a Case IH FPT 8.7-liter engine, rated at 335-hp, equipped with Selective Catalytic Reduction (SCR) only emissions technology to meet Tier 4 Final requirements. Additional enhancements include new front and rear hood styling, and new fuel tank lights. With exceptional interior space and visibility, the Surveyor cab provides a comfortable work environment during those long days of spraying. Learn more at www.caseih.com. Powered by a robust, Tier 3 Cummins engine, the E-Series packs 330 or 370-hp and features a new luxurious cab, adjustable axles and unbeatable versatility. It is the most durable self-propelled machines that offers four-season functionality. The Prowler also features the industry’s largest capacities with a 1,800-gallon tank/11-ton spreader body, and the flexibility to quickly switch between dry and liquid application. A new air blowout adds simplicity while minimizing waste and contamination between products. Learn more at www.gvminc.com. 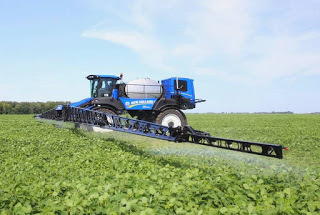 When operators step into a Guardian front boom sprayer from New Holland they won’t look back, says the company. In addition to its four front boom models, New Holland also offers two rugged rear boom models plus the SP.300C Combo Dry/Combo Liquid unit. Learn more at www.newholland.com/na. 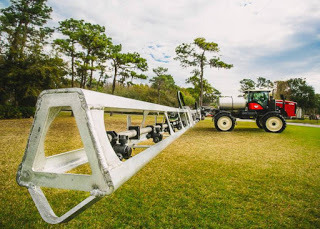 The AS1220 allows owners to spray more ground faster, while maintaining higher yields with a large capacity sprayer weighing less than the competition. Apache owners enjoy the benefits of less maintenance, less downtime and increase. 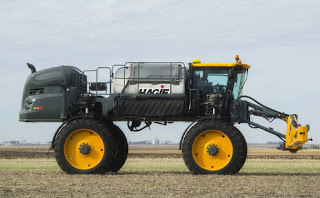 0 Response to "10 Agricultural Sprayers will Improve Performance with the Latest Application Technology in 2019"